Before contacting Backstreets, we highly recommend checking out the Backstreets FAQ, which answers many of our most Frequently Asked Questions. 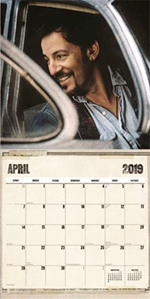 If you're looking for concert information  where Springsteen will be playing, when, and how to get tickets  you'll find everything we know posted on Backstreets.com. Please check out our News page for any news regarding future tour plans, and our Tour/Ticket Info page for the current official itinerary and ticket sale information. We do not have any way to contact Bruce Springsteen. 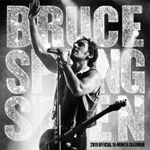 Backstreets is an independent organization, not affiliated with Springsteen, his management, or his record label. We do not have any means of contacting him or them, of passing along requests, of obtaining autographs or backstage passes. Really, there's no red emergency phone under glass, even if you're from the Make-a-Wish Foundation. Though we really do wish you the best. If we ever discover an official fan mail address for Bruce Springsteen, we'll have it posted immediately and permanently, and we'll make sure you can't miss it. Until then, you can visit his official website at www.brucespringsteen.net. Letters to the editor: We love getting letters, and we print as many in each issue of Backstreets as space allows. We do reserve the right to edit for length and clarity, and we ask that you sign with your first and last name if you're intending your letter for publication. Concert setlists/reports/photos/submissions: Backstreets is a community effort, and we can't overstate how much we rely on fellow fans. 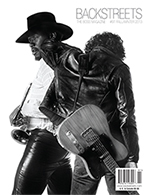 Thanks to readers around the world, Backstreets is able to cover each and every Springsteen performance, both with the setlists/notes on Backstreets.com, and the more in-depth coverage in the pages of Backstreets Magazine. If you'd like to pitch in, send us your views after a show (or ticket stub scans, local ads, photos you've taken, etc.) it's always appreciated. To send us information/anonymous tips/keys to the universe: Or electric Nebraska mp3s, that kind of thing. Thanks in advance. Corrections: We always do our best to be accurate and correct, but when we're not (if an initial setlist report happens to be off, etc.) we appreciate you helping us keep our facts straight. Display advertising: For a complete rate card and mechanical information, e-mail a request with your snail-mail address. See our Advertising page for more details. Distribution: Backstreets Magazine is distributed directly as well as through independent distributors. See our Where to Buy page, or contact Chris for wholesale information if you're interested in carrying the magazine in your store. Subscription/Merchandise orders: We recommend you use our secure online forms or shopping cart to place an order. But if you prefer to place an order by e-mail, or need to clarify an order already placed, this is the way to do it. Subscription/Merchandise questions: If you have a question about an item, a problem with an order, received an incorrect or damaged item, etc., e-mail us. Address changes: If you're a subscriber to Backstreets Magazine, don't forget to send us your new address if you happen to move. Yeah, you may have a forwarding order with the post office, but the post office is not required to forward Periodicals mail, and they usually don't. So if we don't have your current address on file, there's an excellent chance that your magazine will be destroyed (literally) and to add insult to injury, the post office will charge us return postage to send the ripped-off cover back to us. You can help us avoid all that and make sure you get your issue by e-mailing both your old and new addresses (marked clearly), or by using our online address change form. Classified advertising: Our classifieds run in the back of each issue, with three sections: PERSONALS, WANTED, and FOR SALE. To place a classified in the next issue, e-mail the text of your ad to orders@backstreets.com with payment info. See our Advertising page for more details. Office hours are Monday through Friday, 10:00 a.m. to 5:00 p.m Eastern. 24 hours. No cover sheet necessary, hooray for trees!